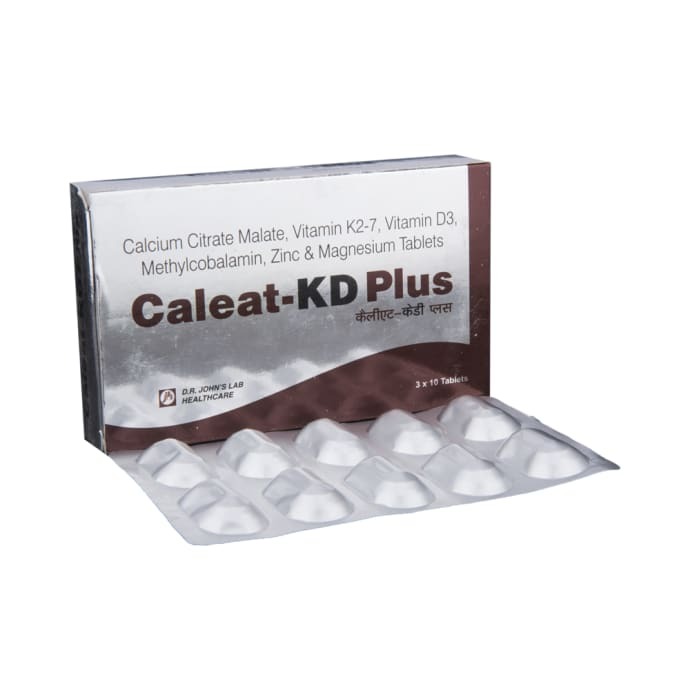 Caleat KD Plus tablet is a combination of Calcium citrate, Magnesium oxide, Vitamin D3 , Vitamin K2-7 and Zinc oxide. 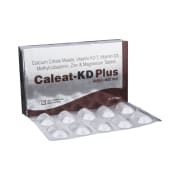 Caleat KD Plus increases the bone strength & mineral content and also reduces the chance of fall & fracture. Calcium plays a very important role in the body. It is necessary for normal functioning of nerves, cells, muscle, and bone. If there is not enough calcium in the blood, then the body will take calcium from bones, thereby weakening bones. Thus intake of Calcium is necessary to keep the bones strong. Vitamin D3, is important for absorption of calcium. A licensed pharmacy from your nearest location will deliver Caleat -KD Plus Tablet. Once the pharmacy accepts your order, the details of the pharmacy will be shared with you. Acceptance of your order is based on the validity of your prescription and the availability of this medicine.